So, speaking of your way out, let’s talk more about THAT moment. Again, think about what you can do NOW to strike out, though it may not be a main part of your long-term goals. What is it you’ve built a career doing that you can offer independently, first, as your phase 1 bridge. Now, phase 1 bridge spans both when you haven’t left your job, yet, and when you are first flying solo. That point at which you decide to leave your job during phase 1 will be different for everyone and is completely up to you and your financial situation. But, whatever it is that can act as that bridge talent or service offering will be what carries you into your independence. Then, to increase your cash flow and minimize your risk, diversify your offerings! (I sound like I’m on Wallstreet, don’t I, lol?) Like what Jules was saying is working for him is creating a variety of revenue streams. Since being able to leave his previous employment, he is making sure to keep up with reality. Life is like a box of chocolates; you never know what your going to get; but, diversify to keep things staying sweet. While you need to think about ways to bring money in, you also need to think about other ways to balance things out. Yes, I’m talking sacrifices! And, your sacrifices will likely be both financial AND just basic life stuff, as you will need to be super dedicated to curving your cube to even have a CHANCE. Late nights, changes in your lifestyle, weekend spending habits, friends, sanity, money, the type of food you eat, the type of place you live in, your dating life…I mean EVERYTHING! You need to consider all possibilities against the pace and priority of your dream. Sounds fun, right? Well, unfortunately, I’m not kidding–it’s most likely going to be impactful on your life. But, any dream worth having is a dream worth sacrificing for. So, you need to make sure to continuously take stock of where you are and keep looking back at your “why” list for motivation. 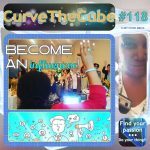 With stepping out on your own, curving your cube, and making sacrifices comes learning to expect the unexpected! But how will you keep from falling apart yourself when things get difficult (aside from consulting your trusted “why” list)? Well, remember to keep perspective. These difficult times can be the fork in the road where the journey ends up evolving your end goals themselves into something even bigger and better. 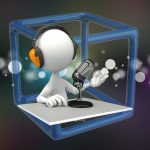 For me, yeah… things didn’t work out with the KVJ Show as I was led to believe they would. But, that (though it totally sucked at the time) ended up being a FANTASTIC fork in the road for me, as it kept me free to focus on podcasting and goals for MY brand. And, that has been AMAZING!! One last note: While I recommend thinking through all of this stuff, I don’t want you to think SO hard through things that they become a never-ending excuse cycle of delay. Planning is smart; but, don’t put off your dream to break free due to laziness and or fear. That is NOT the curvist way. And, the guest on that episode is James Oliver, Jr. whom you will get to know very well this fall, as I will be using excerpts from his book, “The More You Hustle, The Luckier You Get,” in a special series ending with him as my third anniversary guest on October 15th! 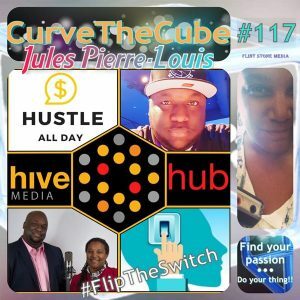 Listen to my full episode with Jules Pierre-Louis!